An ooey, gooey, spicy and meaty cheese dip that pairs well with crackers, chips, and celery sticks for those doing low-carb. Can you believe we are just weeks away from the BIG Game? I am rooting for our New England team and hope they can pull it off again! One of the main reasons why I love football season so much is because I get to eat! Give me all them tasty, yummy, football foods! 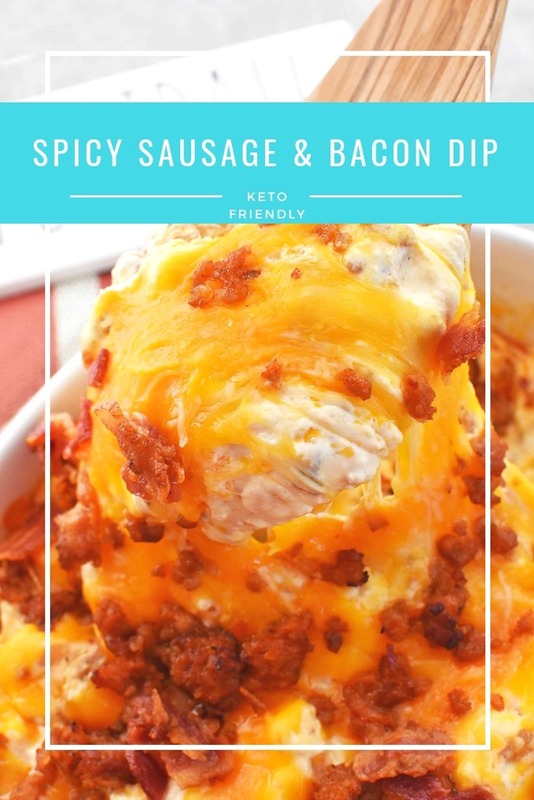 Since going low-carb I was mildly stressing about keto-friendly recipes, but thankfully since sausage, bacon, and cheese are acceptable I can make my Spicy Sausage Dip with Bacon. 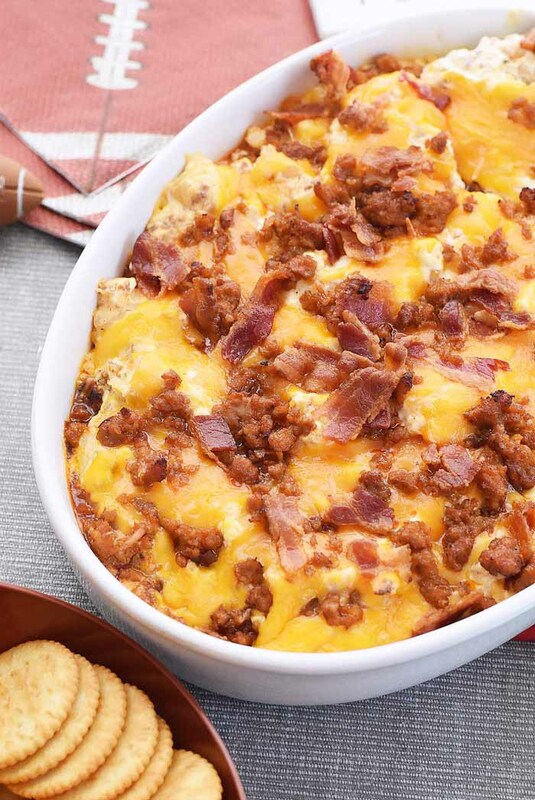 If you are looking for the best low-carb meaty and cheesy dip then this recipe is for you!!! Featuring the always delicious Hatfield pork products, this recipe is amazing!! 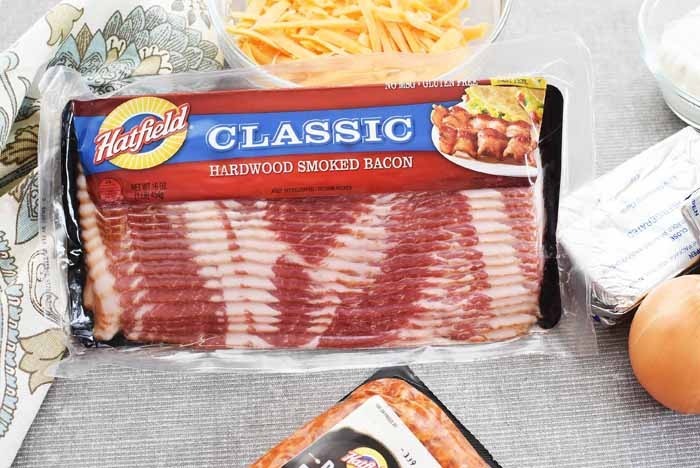 Hatfield is a family-owned company that raises their pork products ethically. They are all natural and easy to prepare for recipes! 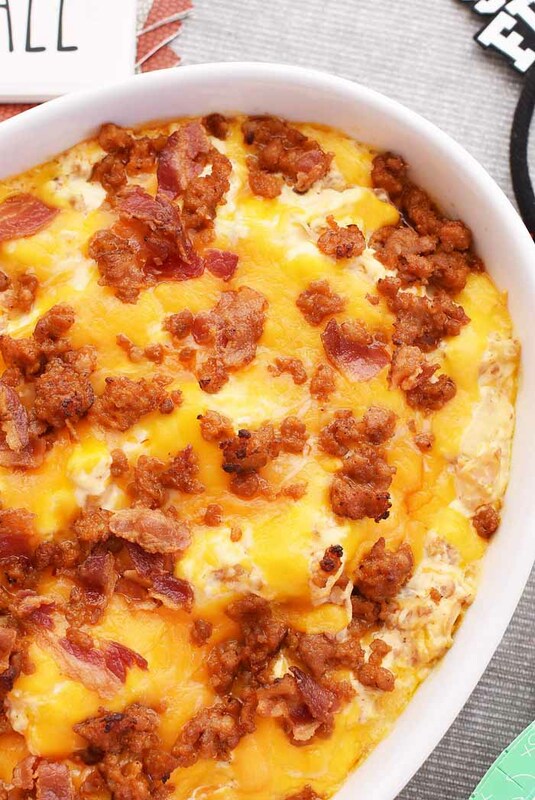 I love their Hatfield Classic Sliced Bacon and Hatfield Hot Italian Ground Sausage which make this Hatfield Spicy Sausage & Bacon Dip such a hit with the football foodies! 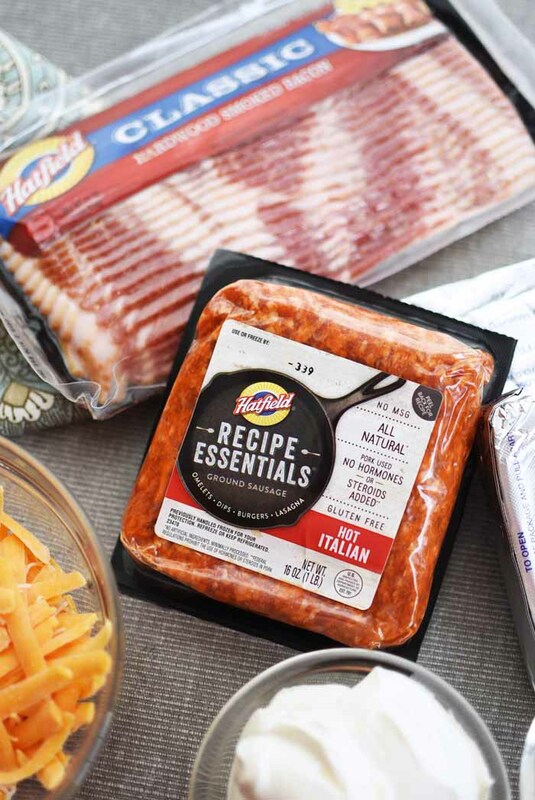 Hatfield Recipe Essentials can make mealtime or homegating a breeze! Available in 3 flavors (perfect for the BIG Game), these simple, flavorful, foundational ingredients will add flavor to any dish and help you get creative in the kitchen, without the hassle. To prepare this tasty sausage, simply brown in a skillet until fully cooked–easy, peasy! Now that you know all about the meats you should use in this cheesy and spicy dip lets make some! 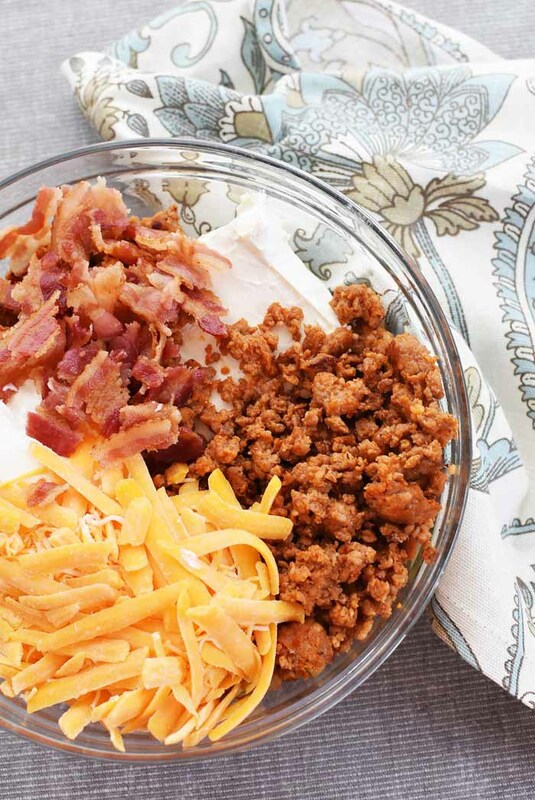 Get the printable recipe for Spicy Sausage Dip with Bacon & Cheese (Made with Hatfield Meats) below! You can find Hatfield Meat products at your local Stop & Shop. 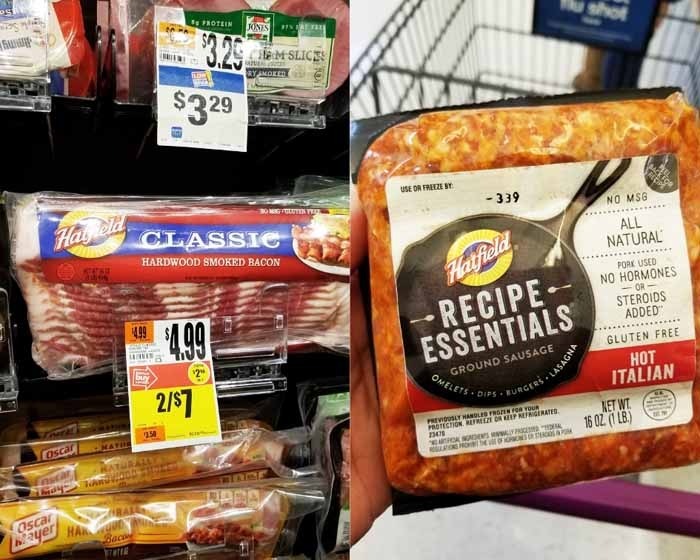 I found the Recipe Essentials Hot Italian Ground Sausage in the fresh pork sausage meat case, and the Hatfield Classic Sliced Bacon in the pre-packaged meats area. 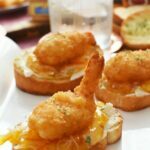 Both were available at great prices–perfect for homegating! 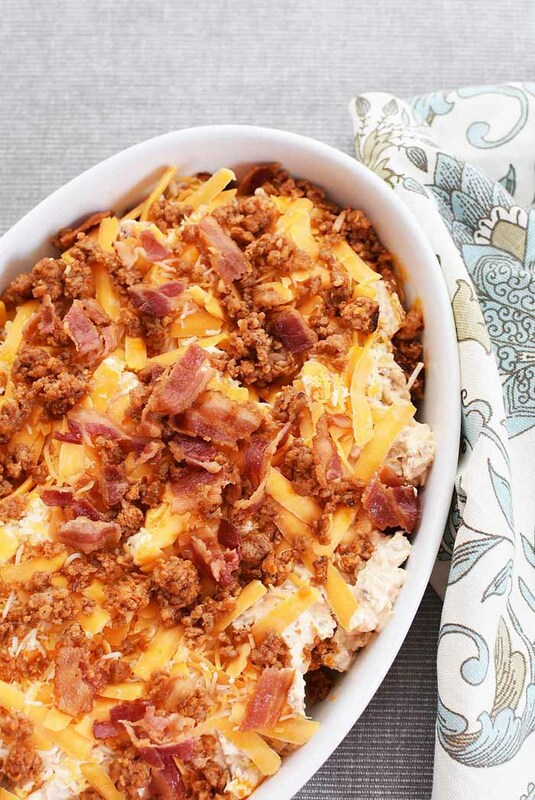 Will you be making this Spicy Sausage Dip with Bacon & Cheese for the Big Game? Looking for the BEST low-carb meat dip for football season, or a party? Look no further! 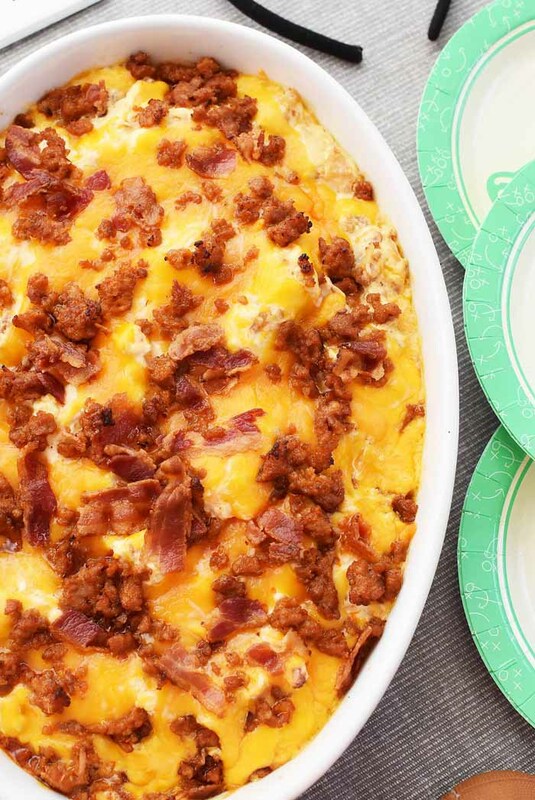 This Cheesy & Spicy Sausage & Bacon Dip is everything you need & more! In a large skillet cook the sausage until browned; remove sausage and leave some excess grease for the onion. Add onion to the sausage skillet and cook until tender. Cook bacon in either the microwave or your oven until crisp. ; drain excess grease and crumble- set aside. 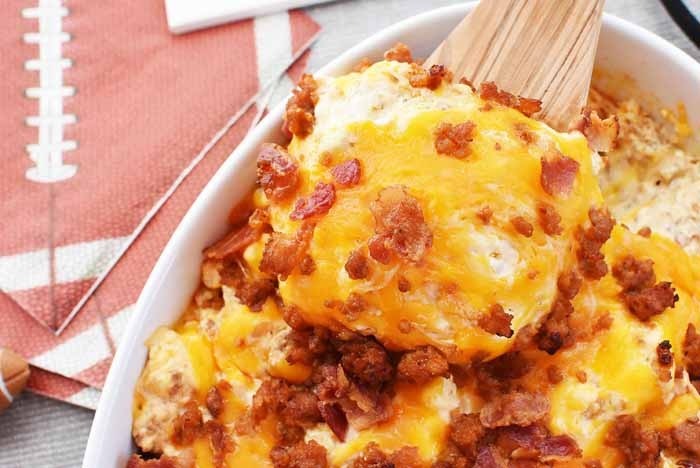 In a large mixing bowl, add 16 ounces of sour cream, 12 ounces of cheddar cheese, 3 tbsps of mayonnaise, and spices. Mix in crumbled sausage to the sour cream and cheese mixture. Place mixture in a baking dish and add crumbled bacon on top. Add remaining six ounces of cheddar cheese. Serve warm with your favorite dipping mediums. Sausage and bacon in one dip? Oh yeah! Get in my belly! You are so lucky to be a New England fan they never lose. 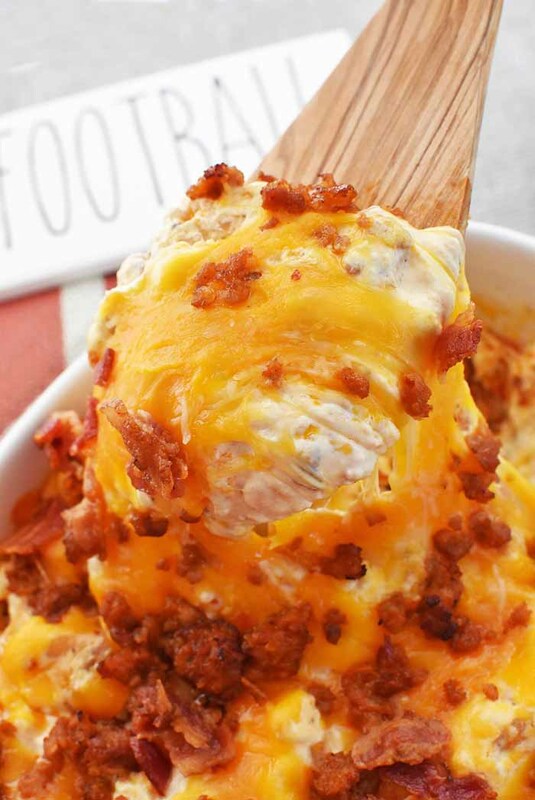 That dip looks like the perfect way to snack during the game. I knolw any fan would love that dip. Girl you had me at bacon! We love to snack on dips like this. This is a great looking dip! 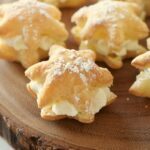 Being that it’s low carb, people can snack on it without feeling guilty! Holy yum, this dip looks fantastic! With the Super Bowl around the corner, this would be a huge game day hit for sure. Yum! 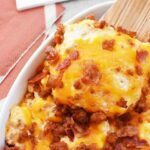 I think a dip like this would be great for some of our get-togethers. The bacon and cheese combo is always a winner. 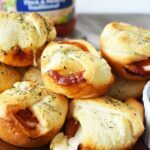 I’m always on the look for easy appetizers, and this one looks delicious! Pinning this one for later. 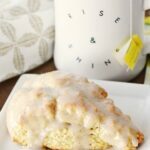 It would be great for a St. Patrick’s Day party! Wow. Sausage and bacon in one? That’s what you call heaven! I would love to try this one on weekend! You had me at bacon! 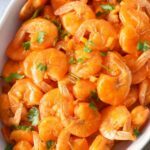 With game day coming up, this sounds perfect for an appetizer or snack for guests! Love it! Oh my goodness! All these deliciousness! I can’t wait for our movie night to make this! This dip looks fantastic! This sausage dip sounds amazing. I love anything easy, delicious, and full of flavor.